Foreign journalists who intend to go to China for short-term news coverage of ABACE, with a duration of stay in China of no more than 180 days, must obtain a J2 visa. If you do not have a J2 visa, you must follow these steps to obtain a press badge for ABACE2019. Step 1: Obtain a Visa Invitation and Consent Letter. This process may take four weeks. Step 2: Obtain a J2 visa through your Chinese Embassy/Consulate General. This process may take up to 30 days and varies by location. Step 3: Submit your press registration request to FleishmanHillard Shanghai by April 5, 2019. Applicants should contact the press office of their Chinese Embassy/Consulate General as soon as possible to determine if it is possible to obtain a J2 visa in time to attend ABACE2019. This is issued by the Information Department of the Ministry of Foreign Affairs of China. You may request an invitation from ABACE management. Please be advised that it will take approximately four weeks to process requests. This is issued by the media organization for which the journalist works. The original, signed passport must have at least six months of remaining validity, blank visa pages, a copy of the passport’s data page and the photo page (if it is separate). 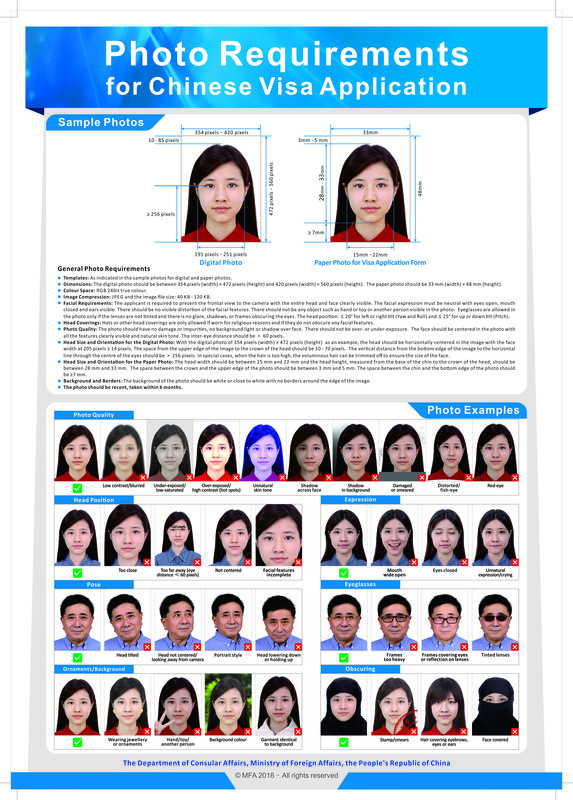 The completed Visa Application Form must include a photo on glossy photo paper glued onto the form. Review photo requirements. The original and photocopy of your valid certificates or visa of stay, residence, employment status, or other valid certificates of legal stay must be provided by the relevant authorities of the country where you are currently staying. If you have obtained Chinese visas before and want to apply for a Chinese visa with a renewed foreign passport that does not contain any Chinese visa, you should present the photocopy of the previous passport’s data page and the photo page if it is separate, as well as the previous Chinese visa page. If your name on the current passport differs from that on the previous one, you must provide an official document of name change. J2 visa applicants must guarantee that all information provided in the application is true and correct. Any false, misleading or incomplete information may result in denial of the visa or refusal of entry into China. The Visa Notification Letter and the official media letter may be in the form of fax, photocopy or computer printout. An applicant may be required to submit an original invitation, provide other supporting documents, or schedule an interview with the consular officer. Applicants should contact the press office of the Chinese Embassy/Consulate General at least 30 days in advance to complete the J2 visa application process. After obtaining a J2 visa, foreign journalists must submit detailed information by April 5, 2019, to FleishmanHillard Shanghai to request ABACE press registration. Learn more about this process.